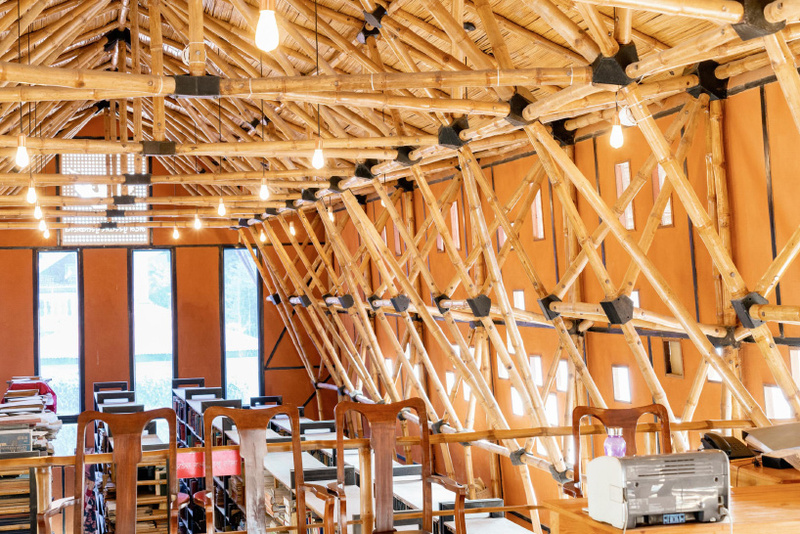 architecture in nepal surveys the contemporary condition of the country’s built environment, showcasing a range of innovative projects and the diverse materials and unconventional forms employed in their construction. 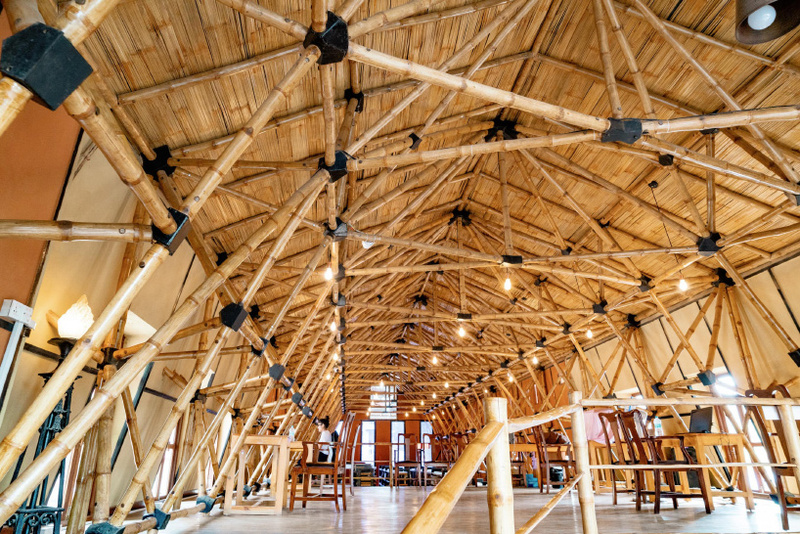 ABARI — a design and build architecture firm that specializes in bamboo construction — has rebuilt a significant structure in nepal, which was damaged by the country’s 7.8 magnitude earthquake in 2015. the building, titled ‘madan puraskar pustakalaya’, is located in the historic precinct of patan and contains numerous literary and cultural resources. 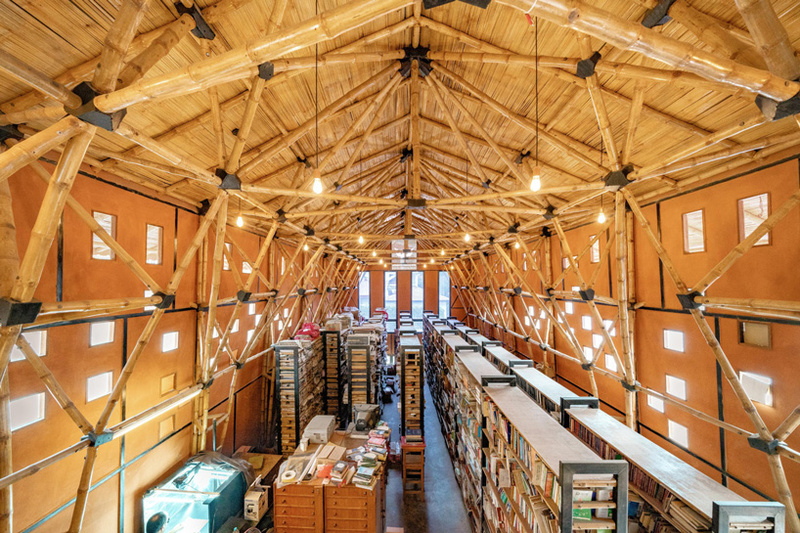 in fact, the building hosts the largest archive of nepali literature in the country and contains a wide range of historic books and documents. 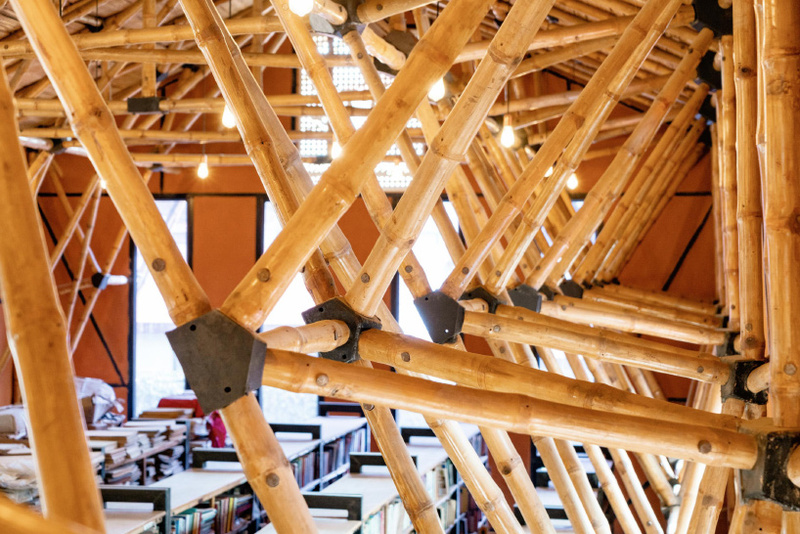 ABARI, led by founder and chief designer nripal adhikary, was commissioned to rebuild the facility in a style that would fit with the region’s vernacular architecture. 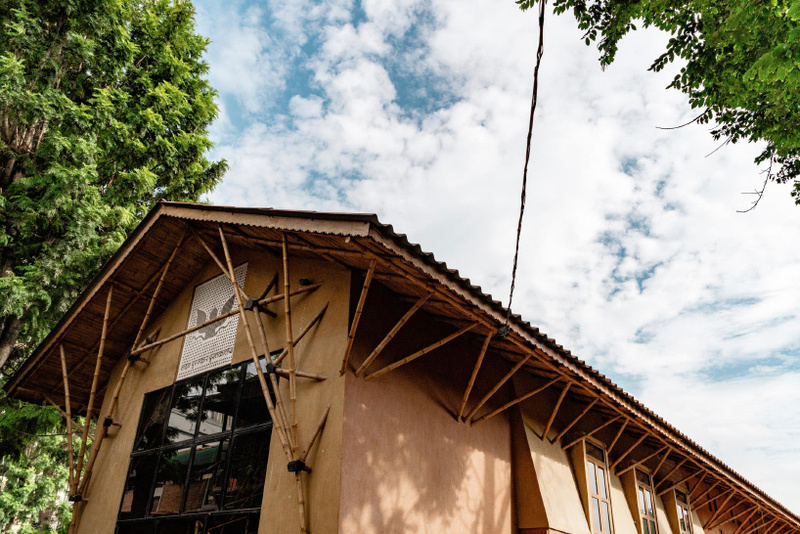 the architects decided to utilize the site’s foundations, which had survived the earthquake, while reusing some of the former building’s historic bricks. ‘the old surely set the foundation for the new in this case,’ nripal adhikary says. the primary design objective was to filter light into the space to create a welcoming and comfortable environment for visitors. 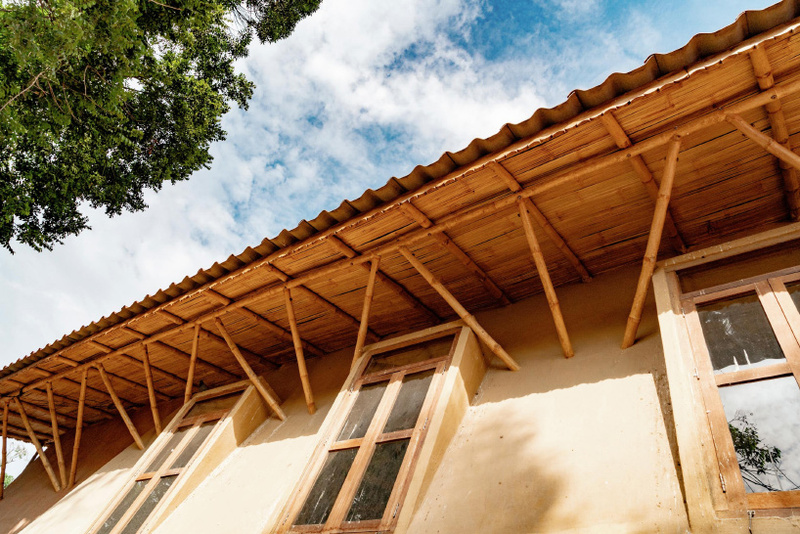 however, perhaps more importantly, it was essential that the building be earthquake resistant. 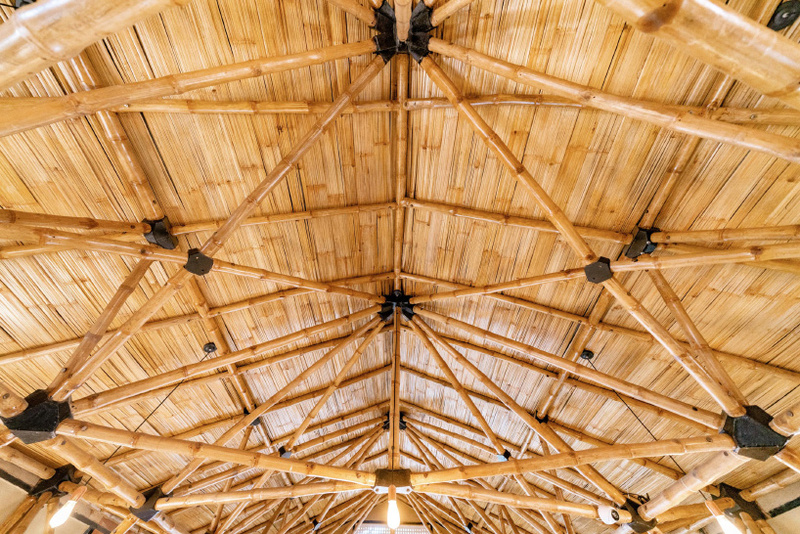 this led the architects to use materials they were already very familiar with — bamboo and rammed earth. 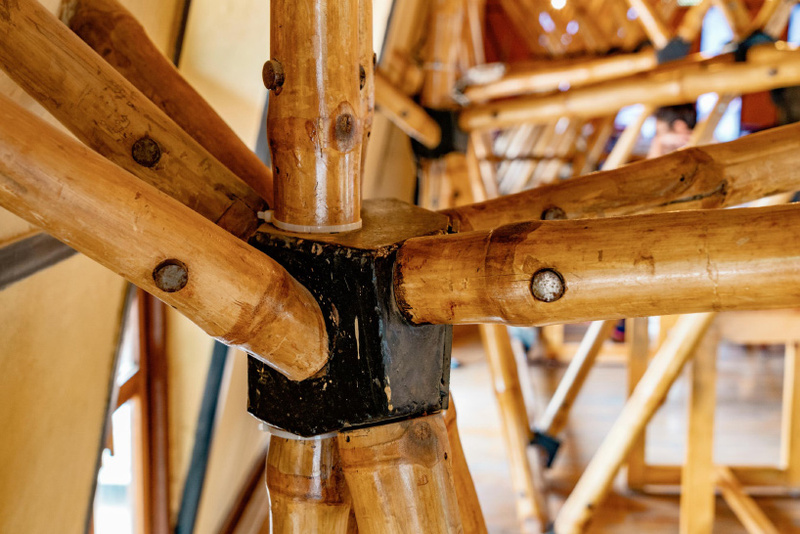 ‘we have been able to identify a few districts in nepal ideal for growing and producing bamboo suitable for construction, and, over the past five years, have been working with farmers’ cooperatives to build a network of bamboo producers, eventually buying back from them,’ nripal continues. 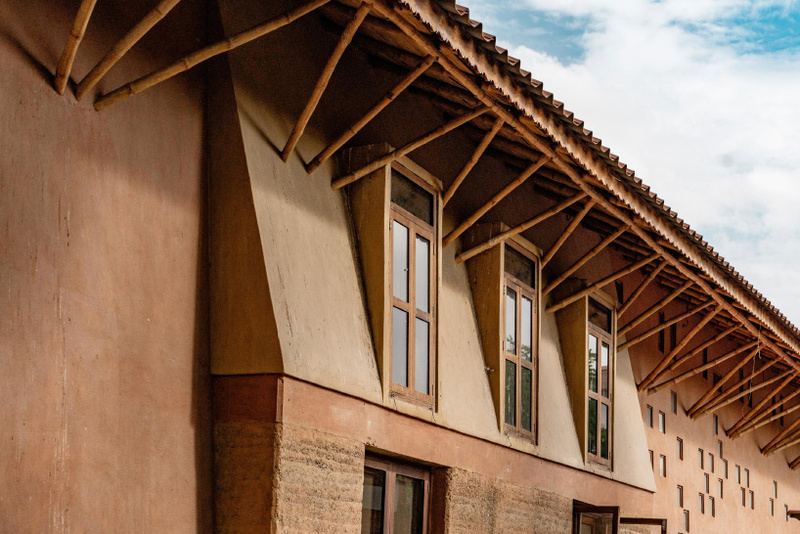 ABARI chose to use rammed earth for the building’s walls, a material with a high thermal mass that slowly releases heat over time. this results in cool interiors in summer and warmer conditions in winter. visitors enter the lower level via a reception area, with private offices found beyond. measuring 900 square feet (84 sqm), the archive occupies the majority of the ground floor. 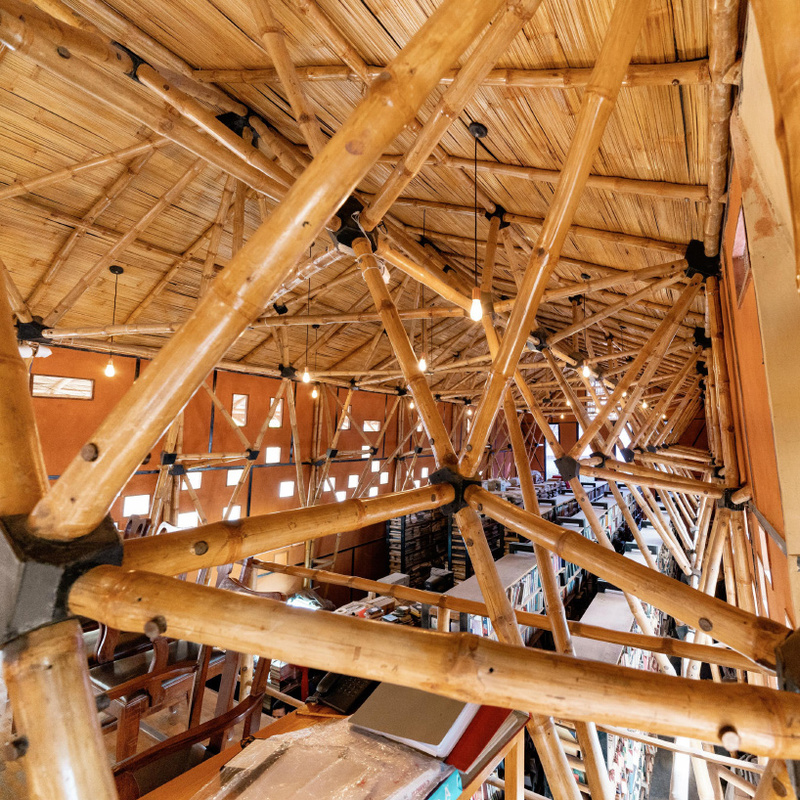 a bamboo staircase leads to a mezzanine level, where visitors are invited to sit and study the documents. 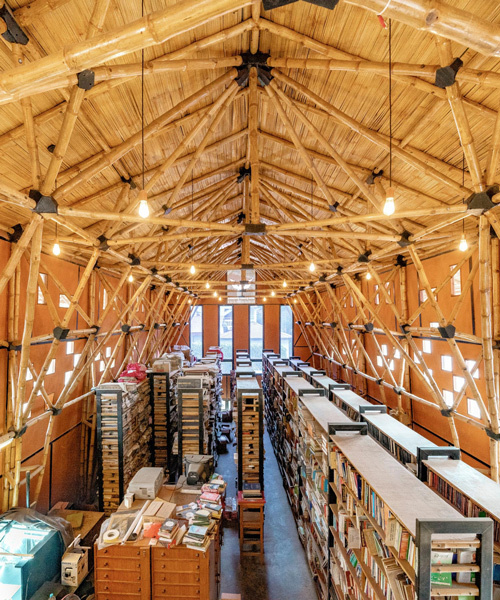 from here, guests can see the archive below and the impressive bamboo ceiling overhead.